Our tomato sauce is free from refined sugar and preservatives, with a whole lot of good stuff. 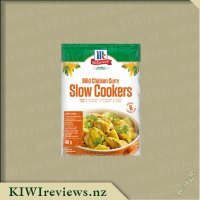 Made with NZ-grown tomatoes and pumpkin, then sweetened naturally with dates and apple juice, this sauce is a hit with the whole family. 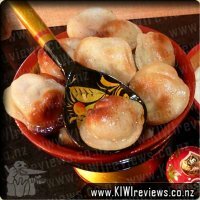 Ingredients: New Zealand Tomatoes (30%), Water, Pumpkin (24%), Cider Vinegar (Brewed from apple cider), Apple Juice, Dates, Onion , Sea Salt, Spice, Garlic, Herbs. 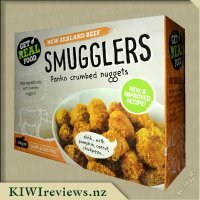 When I saw this on the KIWIreviews page available to review I jumped at the chance. In this household we eat a lot of tomato sauce, for a while the only way I could get my fussy 3 year old to eat was by covering his food in sauce. 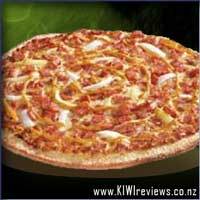 The current favourite tomato sauce that we always have plenty of is the kiwi favourite - Watties. Upon reading how much sugar was in Watties sauce I was shocked! Once I saw that this sauce was sweetened naturally with apple juice and dates I knew it was a healthier alternative, and wanted to try for my family. The packaging is pretty simple to look at, black top with a large black label with contrasting white and green writing. It is very easy to tell it is tomato sauce from the label. Looking at the colour of the sauce in the glass bottle it is clear to see that it has more than just tomatoes in there. The sauce has a more orangey tinge to it, this prompted many questions from my children. The lid was easy to open and the sauce had a nice consistency, not too runny and not too thick. Our first time using the sauce we were having takeaways and had a large blob on the plate for dipping food into. I watched each child eagerly get sauce on a chip and try it.... oh dear their faces were priceless! All three screwed up their faces in disgust. I tried the sauce myself and must admit that I also was not a fan. The sauce left quite a funny aftertaste in my mouth and I certainly did not want to go back for more. I do not like to waste food and was perplexed with what I would do with over half a bottle still left. 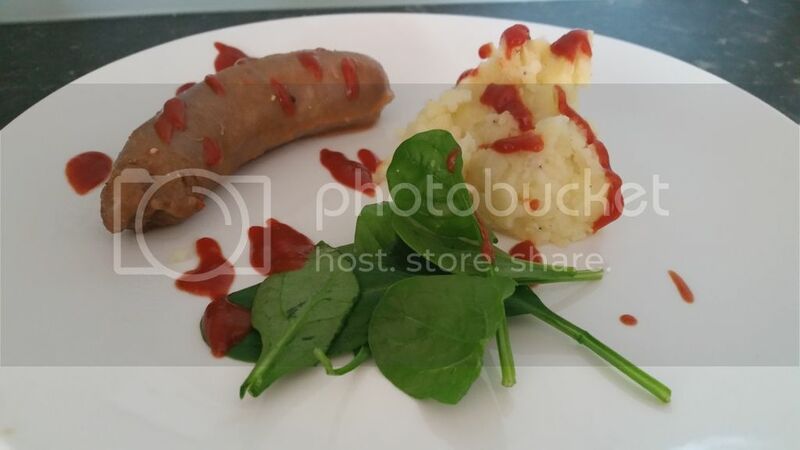 I decided that I would use the sauce in my usual Devilled Sausages recipe. I was amazed at what a difference it made to the dish. 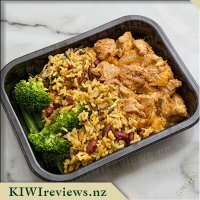 The flavour was nice and creamy and the mixture wasn&apos;t too spicy for my kids like it usually is. We have now managed to use the entire bottle and I personally would not be in a hurry to buy more unless it was on special - and then it would most likely only be used in cooking. Our household are tomato sauce lovers we have it on everything and anything. 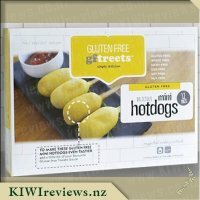 We usually purchase good old Watties but was really interested to try another brand and the Get Real Food brand looked really interesting. Upon receiving the product and reading the ingredients I was really surprised that only 30% was tomatoes and 24% was pumpkin first thought &apos;I hope the kids don&apos;t read this&apos; but I was really intrigued how this combination worked. We had homemade hamburgers and chips so gave it a try with the kids. Hidden in the hamburger we couldn&apos;t really taste it so was great however using it on its own as a dipping sauce for the chips none of us were impressed. The taste is quite strange which is probably due to the cider vinegar which you can smell quite clearly. Unfortunately my kids wouldn&apos;t touch it after one taste. I really hoped that this product would be a winner it contained a lot more healthier ingredients like pumpkin, dates, onion, garlic, herbs and compared to our other sauce in the fridge this one contained half the amount of sugar and carbs and amazingly only 83.2mg of sodium compared to 1372mg. However even though this product is way healthier we will have to stick with our regular brand which I know will get used and not pushed to the back of the fridge. Sad really but I really hope Get Real Food do really well. 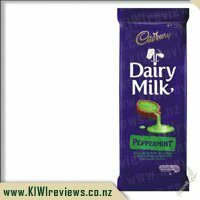 I have cut out a lot of sugar from my diet I wouldn&apos;t say I am completely sugar free but perhaps 90% it can be difficult with so many products out there containing sugar and in most cases extremely high amounts. Since having a health scare myself I have cut out a lot unnatural ingredients like refined sugar and try to keep my kids away from them as much as possible. I make a lot of my own sauces and home baking trialing recipes to cut down on sugar using fruit, honey or maple syrup in its place but to have a sauce like this pre made is pretty great. My children do use a bit of tomato sauce and are big fans of the tried and true watties sauce, I don&apos;t know if you have every looked at the sugar content of this but it is horrifying, you may as well be serving chips with chocolate other than the fact they probably wouldn&apos;t find that appealing lol. 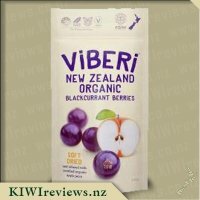 I was keen to get them to try this because I loved the fact it had been sweetened with apple juice and prunes which are both ingredients a lot better for them than refined sugar. 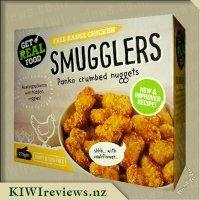 I also was impressed that there was pumpkin in the ingredients list having hidden fruit and veges is a fantastic idea in a product that appeals to children and a great accompaniment to the smugglers products. 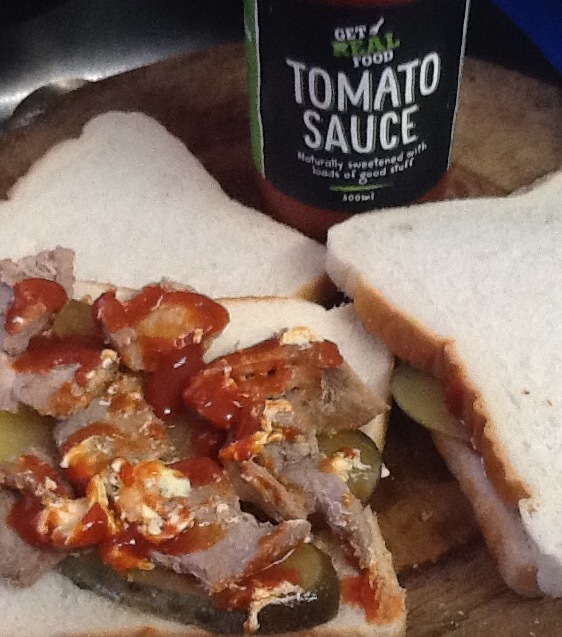 Although my children were not completely convinced on first taste saying the sauce was sour I am not giving up as I think this is just because they are so used to the sweet taste of the watties sauce. I did find you got a bit of a tang from the vinegar but I am used to using apple cider vinegar in my own meals so the taste didn&apos;t bother me but my children picked up on it straight away. 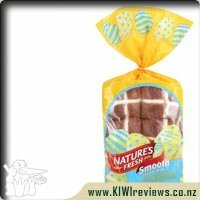 I think the price is great and a reflection on the quality of ingredients used. I do like the bottle design but be sure to shake the sauce each time you use it to recombine the ingredients otherwise it can come out a bit fast when you pour the bottle. 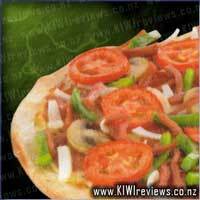 The texture is slightly thicker than a watties sauce which I preferred and added it to a few dishes where I would normally turn my nose up at people adding tomato sauce to. 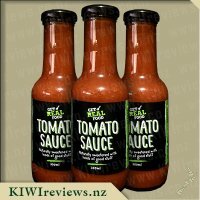 So when I saw this sauce up for review, I was keen to try it out, but I did have my doubts as my family are such Watties addicts and I know that once you like a tomato sauce, it can be very hard to change your palate. I tried the sauce out on some hot chips for my lunch first and actually quite liked it. It was quite different to our usual sauce, but I personally would happily use this just to avoid refined sugar. However on going out to a meeting that night, I left it out for my family to use with their dinner of sausages and potato, with strict instructions to try a small amount first so they didn&apos;t waste any - and just as well, as neither of them particularly liked it. I can&apos;t see Miss 8 ever being convinced to try it again and hubby said it was OK but not his preference. I really enjoyed the sauce with my dinner when I got home later on, and have also found it lovely on wraps for lunch in place of the chutney&apos;s I normally use (also a high sugar product). 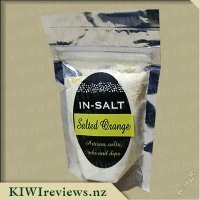 Upon reading the ingredients, I love that there is pumpkin in here - a great way to add extra veges without it being all tomatoes. 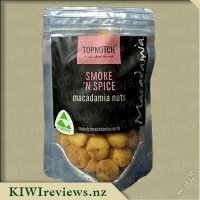 I see they have sweetened it with dates which I found interesting as I once tried making my own tomato sauce free of refined sugars and I also used dates but I found that they overpowered the flavour. However with this sauce, there was no trace of the dates at all. I could however taste something a little tangy and fresh and am wondering if this was either the apple juice or the apple cider vinegar. This was the flavour that was a little overpowering and unusual and if I wasn&apos;t getting the benefits of avoiding refined sugar, then I wouldn&apos;t buy this just based on taste. Overall the thickness was good and it will definitely come out to the table when I&apos;m wanting to use tomato sauce myself but I won&apos;t bother wasting it on the rest of my family. Whether I buy it again is still a bit up in the air as I&apos;m not the biggest sauce user in the house - I&apos;m just gutted that the flavour hasn&apos;t had a universal appeal among my family and I buying it again means 2 tomato sauce bottles in my already full fridge. I don&apos;t like bottled tomato sauce as a rule. The chemicals almost walk out of the bottle to meet you, and I shudder to imagine what they do once they reach your insides. However, when I was asked if I would like to review this one, I was intrigued to see that the main ingredients (other than water) were tomatoes and pumpkin. That&apos;s more like it! And not a cryptically named food preservative in sight. So I agreed to try it - and am I glad I did! What a great idea to add pumpkin to the mix. I am sure that, although I could not actually detect it as a separate ingredient, it was responsible for both the rich creaminess of the sauce and the bright colour. Home-made tomato sauce does taste good but it is often quite runny, so clearly the pumpkin is the magic ingredient here. And of course it is much easier than making your own. Been there, done that! I tried it with a range of usual foods - schnitzel and sausages (of course!) from the barbecue - and stirred into mayonnaise to make a thousand island dressing style dip. My visitors tried it with chips as well but that was a little too radical for me. However, the real winner was with a food I have not tried in years - but I thought it would work really well with the sauce so I was inspired to try it for lunch. Many years ago, I lived in the East End of London (Stoke Newington) and there were some wonderful ethnic dishes, both fast food and restaurant style, to be had. One of my favourites was the hot salt beef sandwich sold at the local kosher deli. It was just the thing for a cold winter day: thick slices of bread with a filling of large chunks of salt beef, pickles, horseradish, and real tomato sauce. They made their own sauce and the beef was broiled on site and served hot. And one sandwich was enough for a meal. My version was not exactly the same. My bread was thinner so I used less meat in case the filling all fell out! But the taste was just as I remembered. At this rate I don&apos;t think the bottle will last very long as I think I might be having the same for lunch tomorrow - there is plenty of meat left and a big jar of pickles. I can always get more bread! Tomato sauce is always a staple in our house, it&apos;s one of those thing&apos;s that we just can&apos;t go without, I tend to only use it on hot chips and sausages, whereas Miss 4 and my partner smoother it on almost anything! When I saw a new Get Real Foods tomato sauce up for review I thought it was well worth checking out, after all anything that you can serve up to your family to get more vegetables into their diets has got to be good right? The bottle this sauce comes through is made from a see-through glass which is great as it allows you to see exactly what you are getting, my first initial thought was that it looked to be a lovely rich, red colour and of a nice thick consistency. The black label was stylish and it made the green and white lettering really POP and standout! 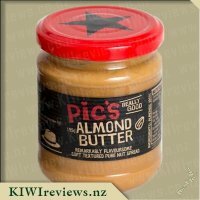 Reading the label it is important to note that this product is made right here in New Zealand, and from all natural ingredients, no hidden colours, flavours or preservatives lurking in here. However you will find that tomatoes and pumpkin do infact make up for 55% of the total ingredients, which is pretty impressive. To create a sweeter flavour the ingredients also list dates and apple juice instead of using high ammounts of sugars like many sauces do. After cooking up dinner sausages, chips and salad, I added a dollop of sauce to each of our plates for us to try, Miss 4 didn&apos;t seem to mind the sauce and happily ate it without any complaints, however my partner soon said he didn&apos;t like it and that it didn&apos;t taste like how a tomato should be. I didn&apos;t mind it myself nor did several friends of mine and there children who tried it, however we did all agree that perhaps it would better if a little less apple cider vinegar was used as this was quite over bearing. We also discussed how much vegetables our children were actualy getting from a smal portion of sauce coming from this bottle, was a small amount used for dunking chips in really worth buying the product? Sadly this probably isn&apos;t a product that I would rush out and buy, I love the logic behind the hidden vegetables but I just don&apos;t feel it is worthwhile, the other suggestion I have is to perhaps make a squeezy cap for the sauce to come out of as it does tend to flow quite fast. This isn&apos;t my cup of tea, butif you are used to less sugar in your diet then I recommend trying it as you may just love it. Select from our tasty range of healthy fresh meals designed by nutritionists and prepared by qualified chefs. New options being added every month. You can pick and choose meals individually or choose one of our pre selected meal packs that suit your needs. You will find pre-selected meal packs under the tab "Other delicious options"